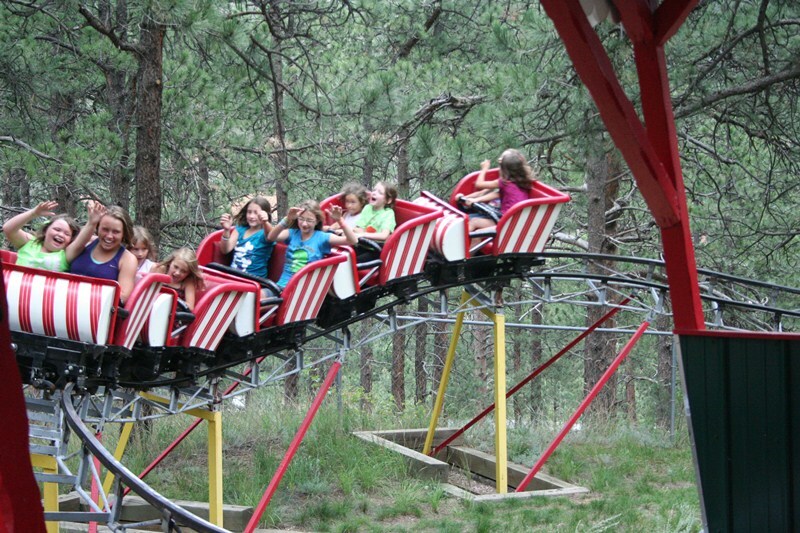 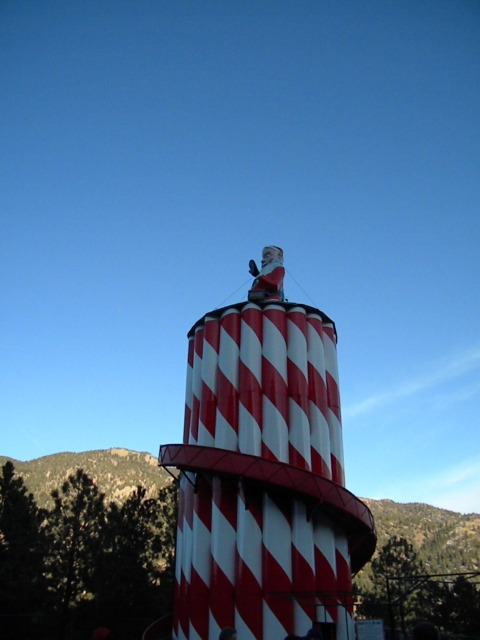 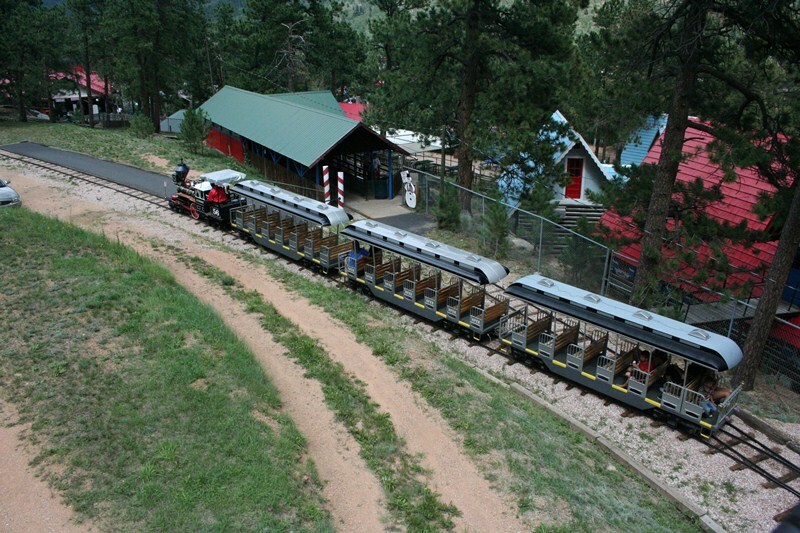 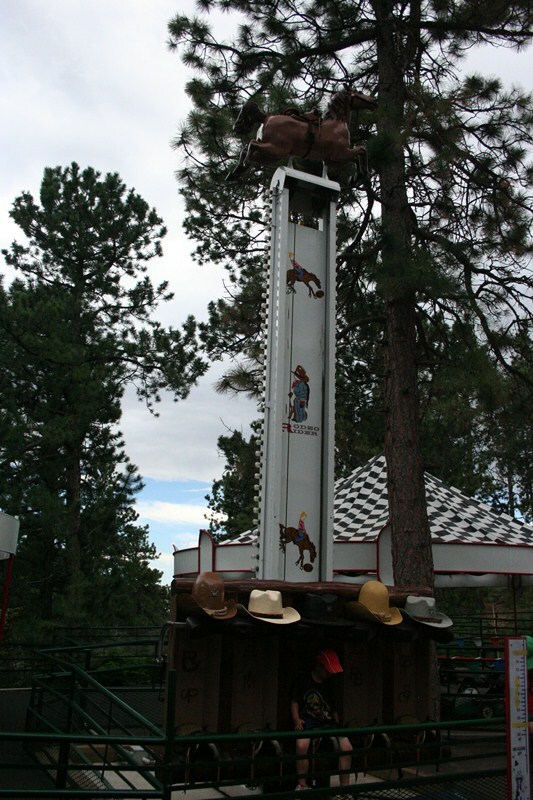 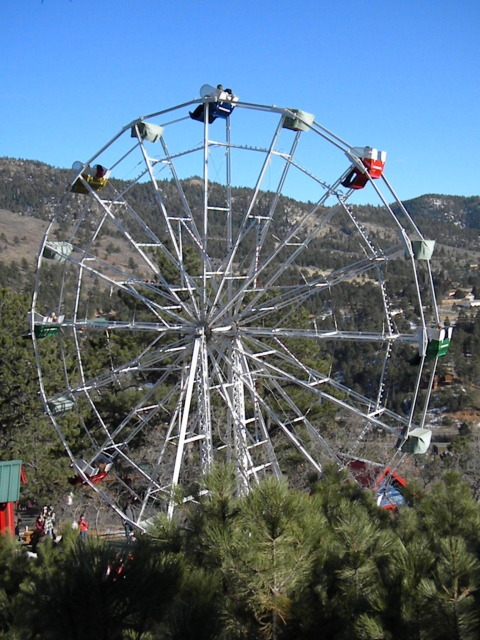 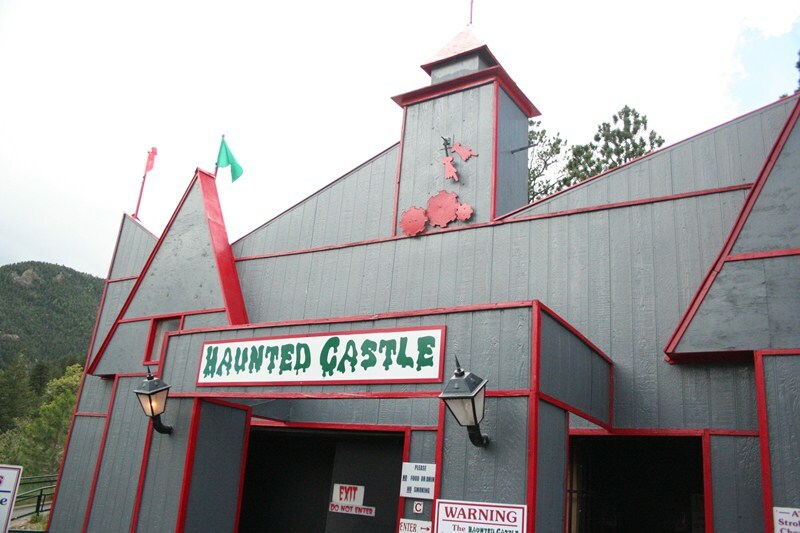 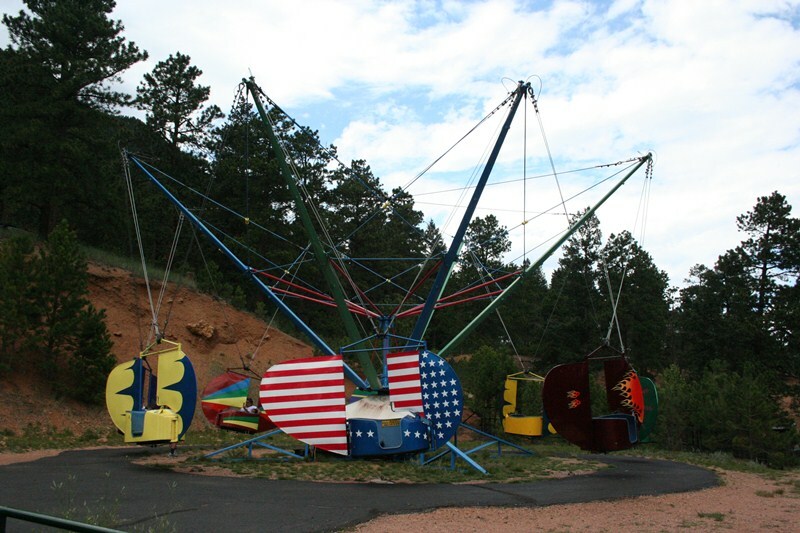 Only about 90 minutes from Denver, this family park is a must see. 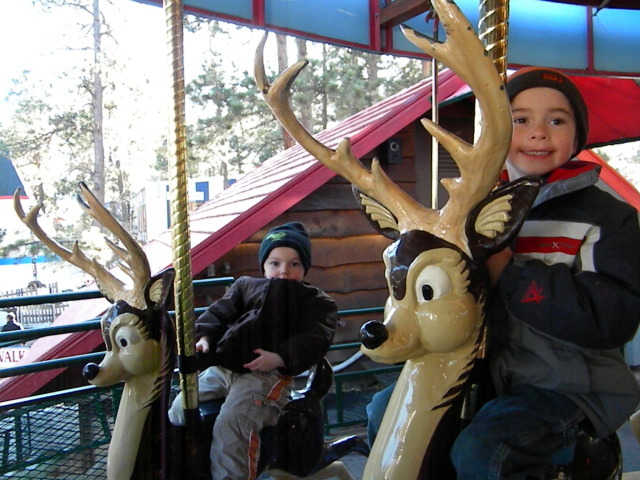 Open up until Dec 24th(weather permitting) you will experience Christmas year round with a snowman themeed Tilt, a Santa slide, and the Candy Cane Coaster. 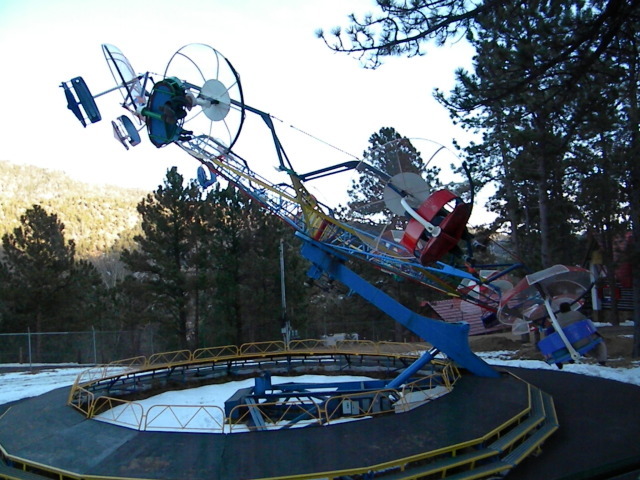 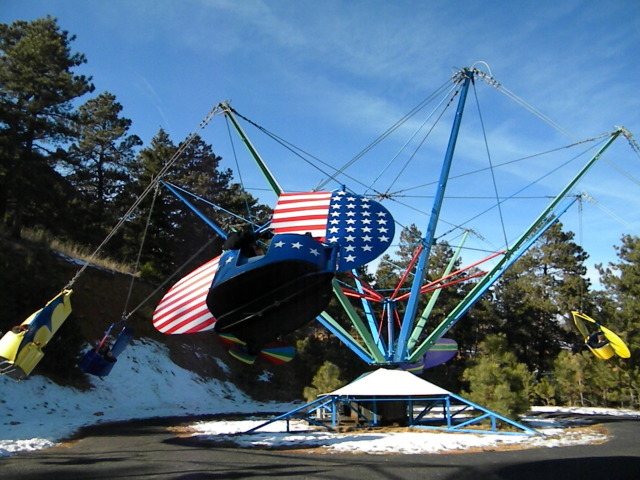 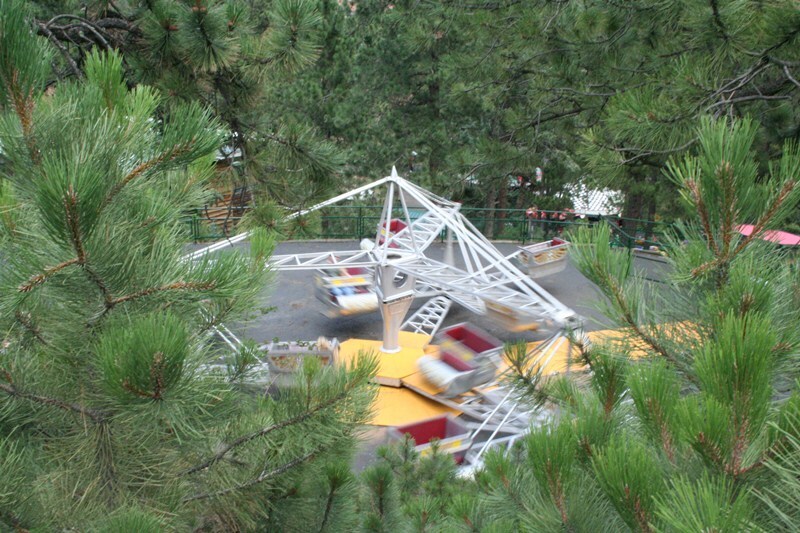 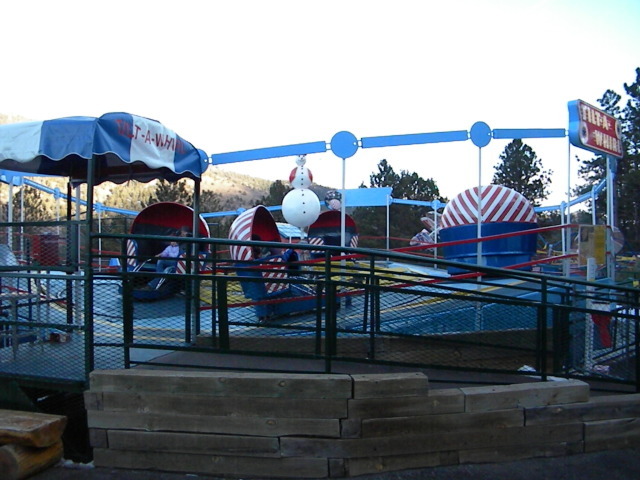 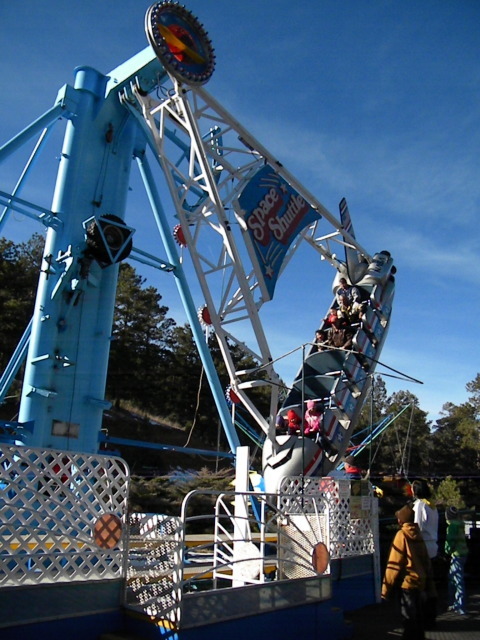 The park also features a paratrooper, flyers, and scrambler. 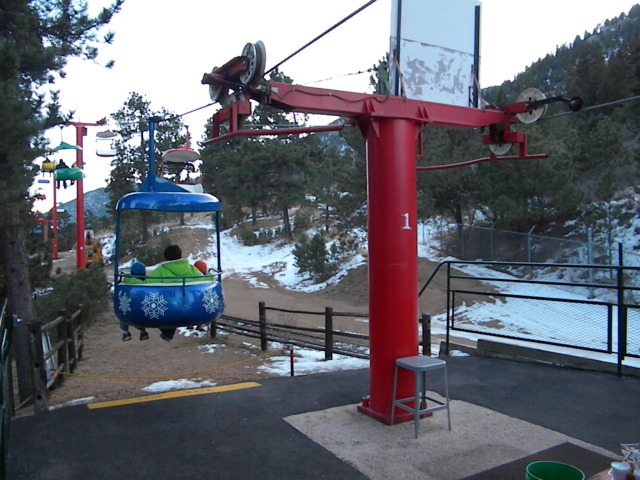 The park is cashless meaning you don't pay at each store or snack stand, rather everything is charged to a ticket and you pay your bill on the way out. 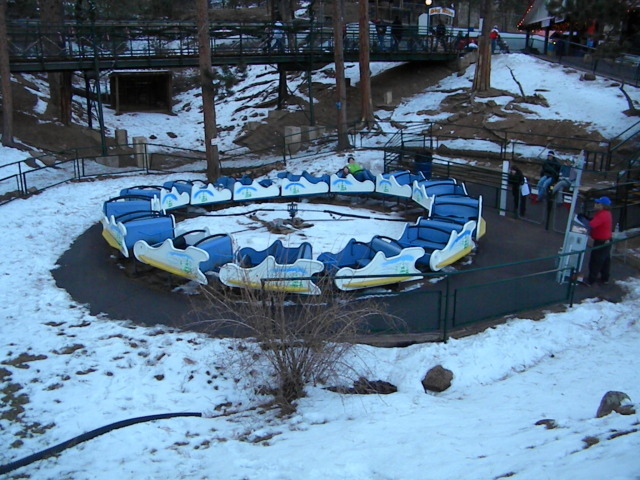 Be sure to check out my trip report with the link on the right side of the page, I guarantee you will be impressed with this small park.